From the first glance there is no significant differences from previous versions. 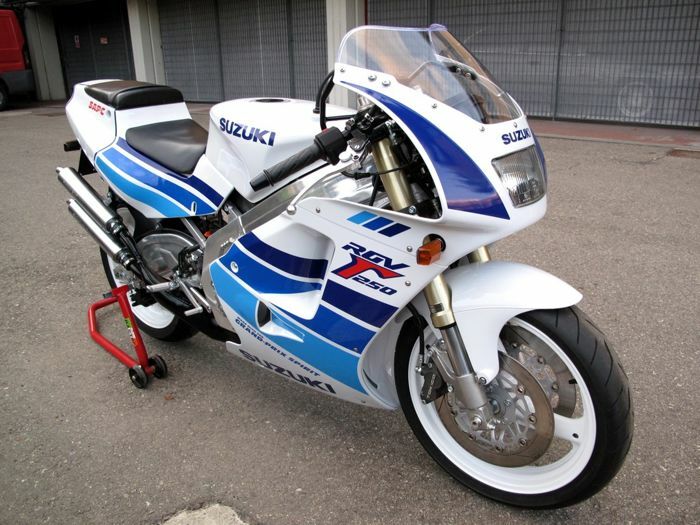 The most striking difference apart from the addition of the ABS, is of the form passenger seat that has been equipped with a seat cover on the Ducati 795 version of ABS and reinforced by the use of transparent windshield. Ducati Monster 795 ABS is still equipped with the latest mechanical rate equal to the Ducati Monster 795 non-ABS version. Applying the L-twin cylinder engine, with 2 valve Desmodromic and with an engine capacity of 803cc, which is capable of throwing power of 87 hp (64kW) at 8250 rpm rotation with Siemens Electronic Fuel Injection system with 45mm diameter throttle body with stepper motors. Ducati Monster 795 is powered by with catalytic converter and twin lambda probes and lightweight 2-1-2 exhaust system that have used standardized Euro 3. Using a 6-speed transmission with the use of the ratio of 1.85: 1 using the gear front and rear gear 15 eyes of 39 eyes APTC wet multiple clutch with hydraulic control to use. 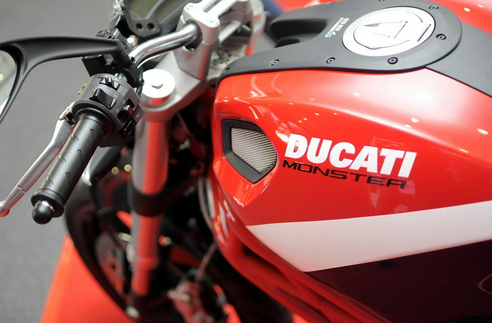 Ducati Monster 795 ABS is wearing a double-disc front brakes with 320mm diameter discs, which is flanked by four pistons radial caliper with ABS system. Ducati Monster is facilitated by using a digital instrument display systems such as fuel level unit, immobilizer, turn signal, neutral, scheduled maintenance warning, speedometer, oil temperature, warning light signal for low oil pressure, rev counter, fuel reserve, time, trip fuel, lap time, overrev and ready for DDA system. 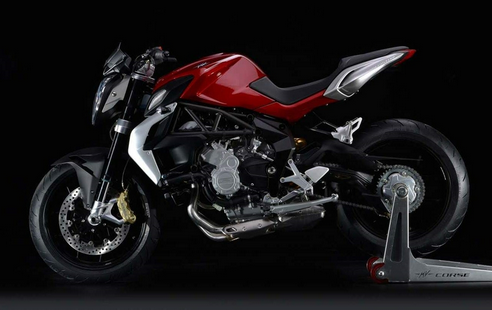 Motorcycle MV Agusta Brutale 800 is a development of the motor by using step Brutale 675 / longer stroke engine. Motor Brutale 800 is able to provide additional power, torque and use adjustable suspension thus believed to be able to increase driving dynamics. 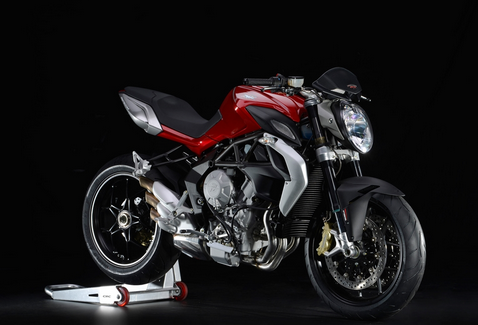 Motorcycle MV Agusta Brutale 800 has a power of 125 horse power, which has been equipped with new features that advanced. 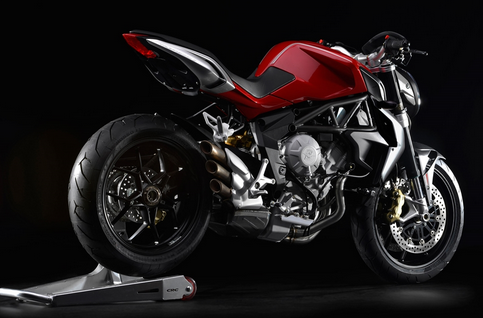 MV Agusta Brutale 800 that do bring is a special edition of Italy.